When Mari accidentally overhears that Trystan is in love, she can't believe it. He's pining over some girl that doesn't know he's alive. The confident swagger and endless stream of girls is a facade. It conceals his loneliness and hides how messed up he's really become trying to flee from a life that's battered him to his core. 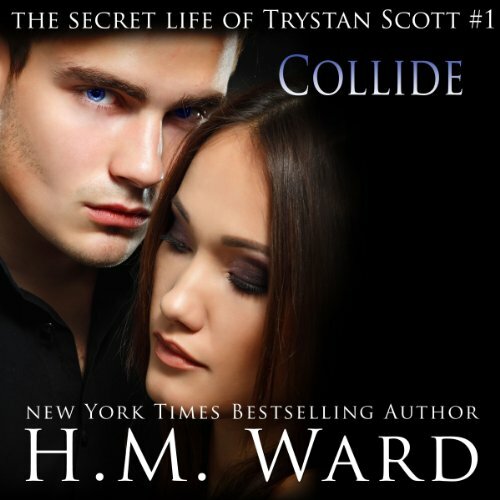 Trystan tries to figure out how to make it clear how much he loves Mari, but every insincere kiss and every broken promise haunts him, because she knows them all. Now, Trystan has to prove to the one girl he's actually fallen in love with that she's not just another conquest. Mari has no idea who Trystan loves, but she can tell that whoever it is has captured his heart entirely. Soon Mari sees the man behind the mask, the guy that Trystan tries so hard to hide. Everything about him is appealing, and too hard to resist. In a moment of desperation, Trystan uploads a love song he wrote for Mari, but before he can show it to her, the video goes viral. Everyone wants to know who he is, and the only thing shielding him is an anonymous account name and some thick shadows hiding his face. Tyrstan realizes that the consequences of revealing his identity will be disastrous. Everything he's tried so hard to hide will be exposed. It's a secret that is impossible to keep and the only girl who he wanted to hear it will never believe him. Backdraft: The Secret Life of Trystan Scott, Volume 2 is available now. Waste of my time. The story was geared to adolescents, not adults. Narrators were very good . The spoiler, adding insult to injury, was that it ended in a cliffhanger (which makes my blood boil). Write the entire story on or don't write at all. Young love is so painfully wonderful! Yes, there is a cliffhanger ending but this high school couple took me back fifty years to when I was that age. Can't wait for it to continue!! I have a love/hate relationship with HM Ward, okay I love her books but the cliffhangers and leaving me waiting thing kills me. We get to see the early life of Tristan, can't wait for him to grow up so we can see more. In later life he is Jonathan Ferro's best friend, this book just gives us a quick view of his highschool life and how it all started. I like his character a lot, both of them. Can't wait to see Tristan and Mari in the future.